You must have a clear idea of what you can afford in terms of expenses and monthly bond installments before you apply for a home loan. By having a clear idea of what you can afford will determine if you can afford the payments and the costs thats associated with owning a home. This will be your rates and taxes, water and electricity, insurance, maintenance and any other unforeseen expenses that can arise. We sometimes underestimate the influence of little things, it is the small things that add up to big things. 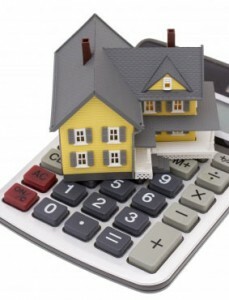 Reduce or completely cut out any short-term debt before taking up a home loan. You can save a lot of money by the slightest change to your daily routine. Being disciplined by not spending extra cash on unnecessary luxuries can cut years worth of interest from your loan term. Put any extra monies you earn or receive towards your bond repayment and don’t reduce your monthly repayments if a rate cut occurs. By saving for a deposit before you purchase a home, will lesson the loan amount, and this will enable you to pay off your bond in a shorter period of time. Plan ahead, work out your budget and stay within your limits. ← Reasons why you should apply for a home loan using a Bond Originator.